"Leading companies are now finding that a green supply chain doesn’t just improve the public’s perception of their company and brand; it saves money by using resources more efficiently and reducing waste." Lean principles focus on the reduction or elimination of waste in processes. As such, Lean thinking is green thinking, and is in many ways naturally symbiotic. How has Lean helped your organization become more green? 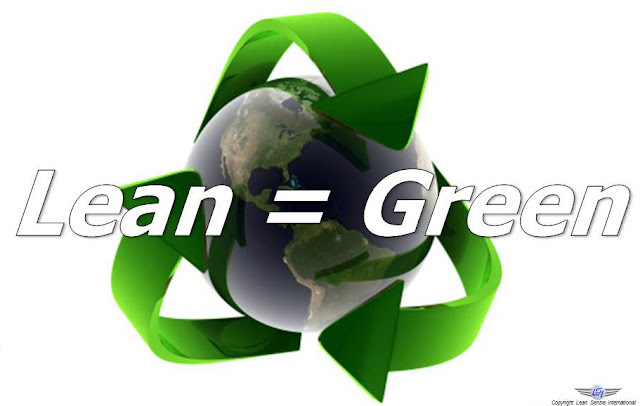 What can you do to perpetuate the crescendo towards a more Lean and more green organization? This is the first in our Lean is Green series. We hope you enjoy it. You can leave your comments below or on our LinkedIn page.